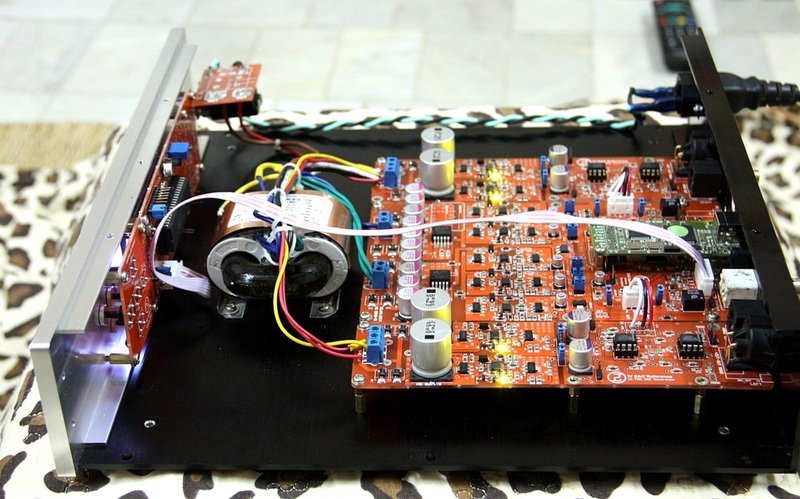 This year brought two brand new implementations of the Sabre32 ES9018 DAC to the diy community. 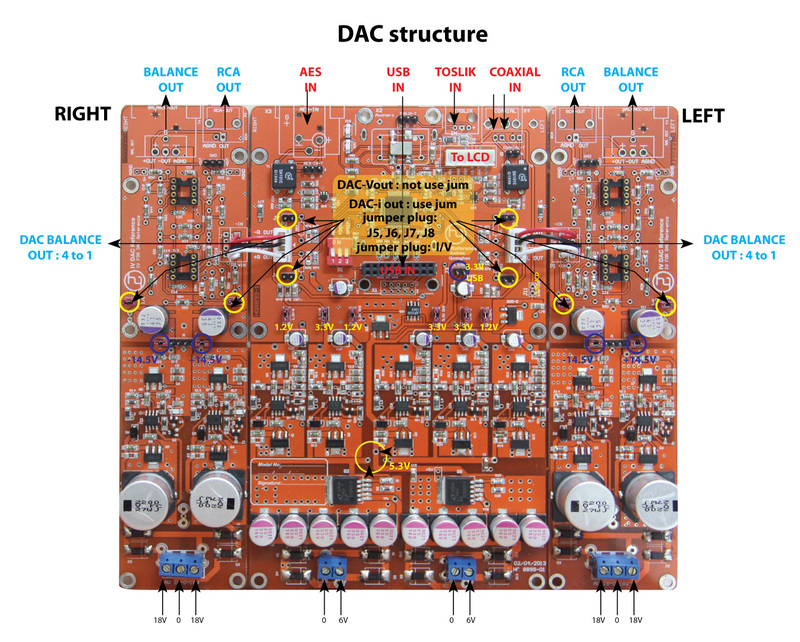 One is the bare-bones $99 ES9018 board from diyinhk and the other is a fully assembled board from Quang Hao-Andrea, the “DAC-END R”. There is a group-buy going on here: [link]. 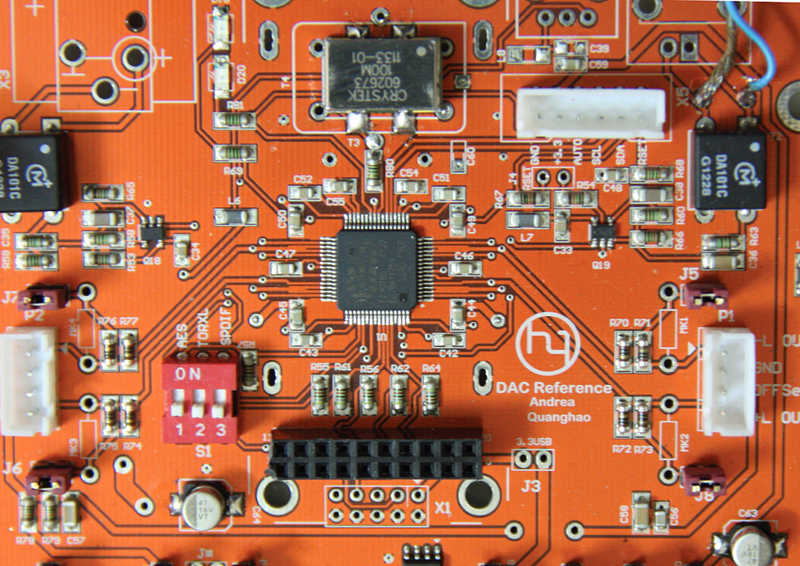 Joining the Buffalo DAC and the Acko DAC, there is now a version for every taste, budget and diy capability. It’s never been a better time for the diyer. 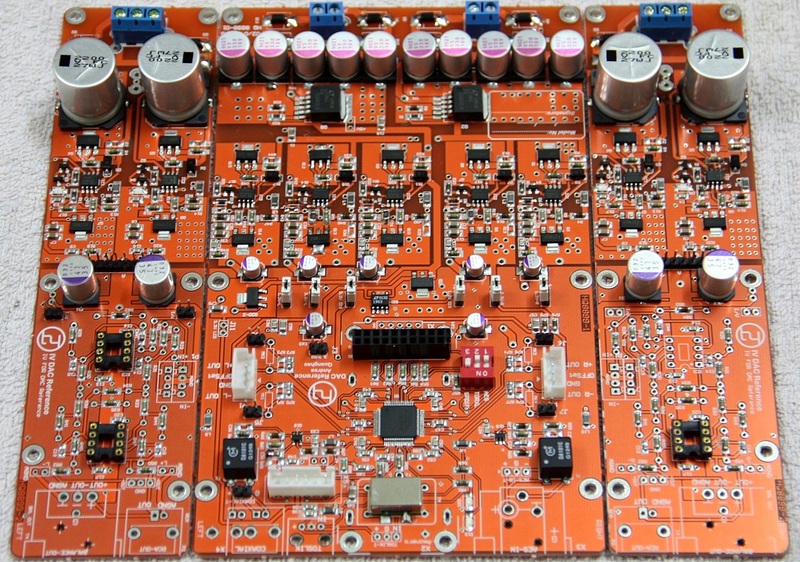 The DAC-END-R ES9018 is fully assembled including the power supplies. All you need to add is a transformer and the input connections. 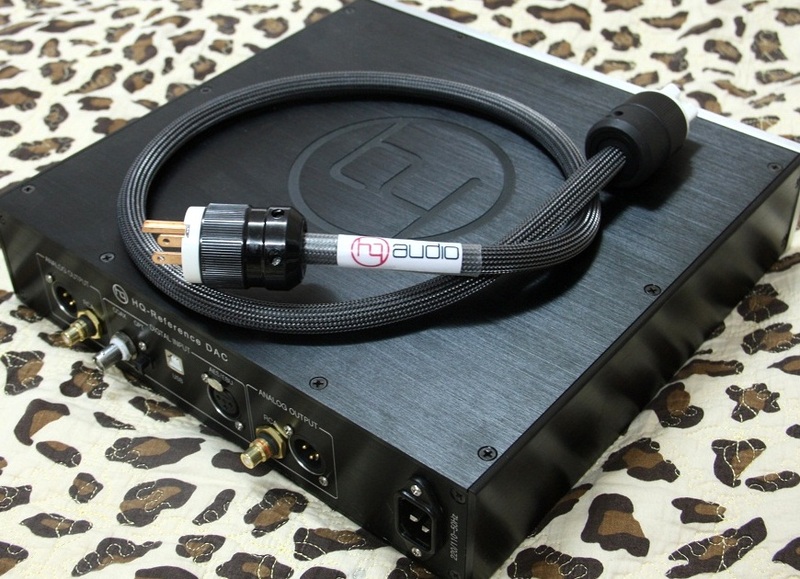 There is even a “plug & play” header and mounting holes for the Amanero USB/DSD interface. 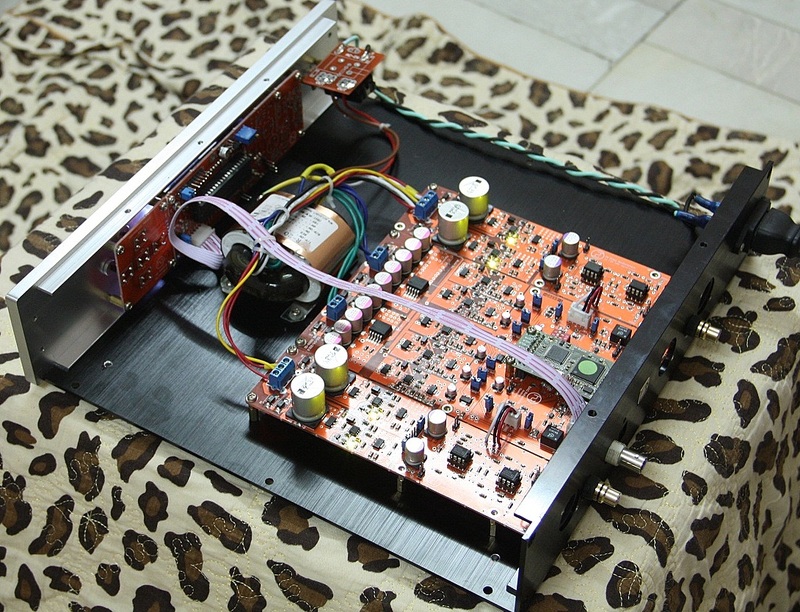 In effect, this is not quite “diy” as it can be ordered fully functional with power supply and enclosure. But it is also not a commercial offering since it is currently a “diy group-buy” project. I was able to get a hold of a prototype board to test it out. 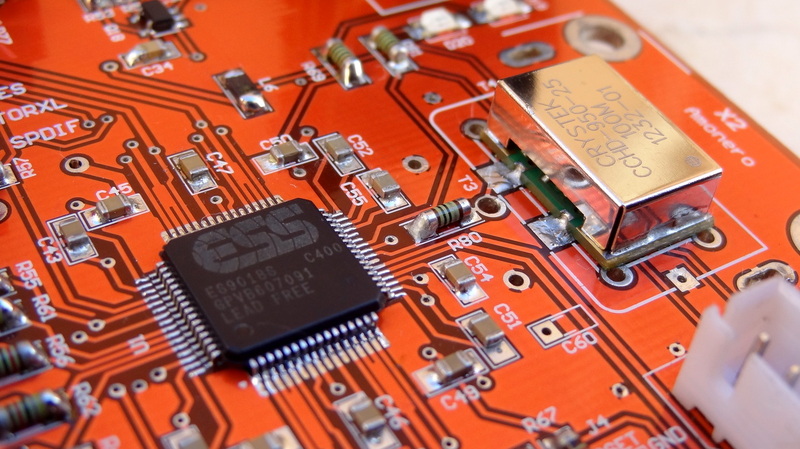 As can be seen the photos, the finish and workmanship is a combination of machine reflow and manual soldering. 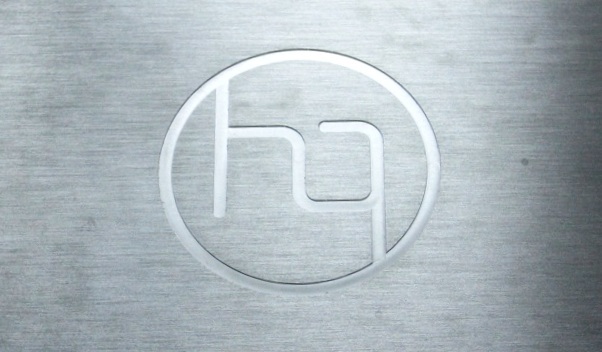 Quang Hao indicates that the production board will be totally machine manufactured for a fully professional finish. 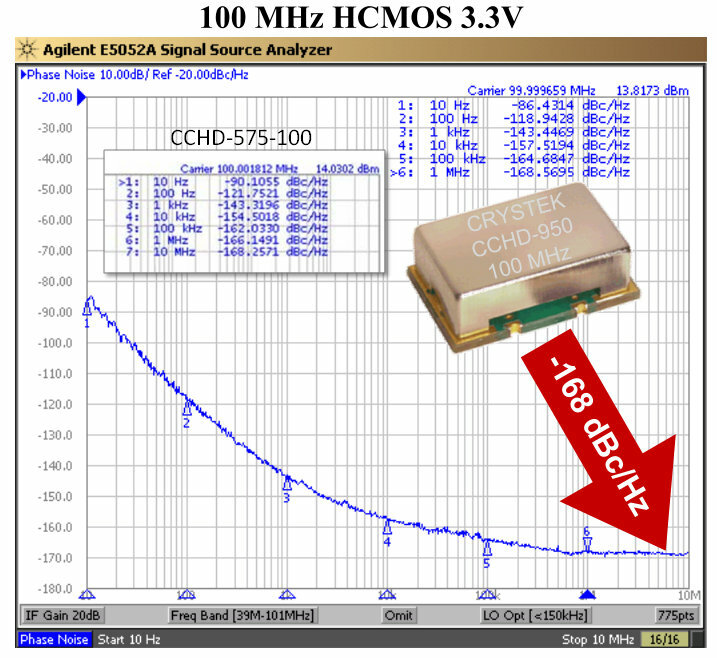 The all popular Crystek CCHD-950, 100 MHz. 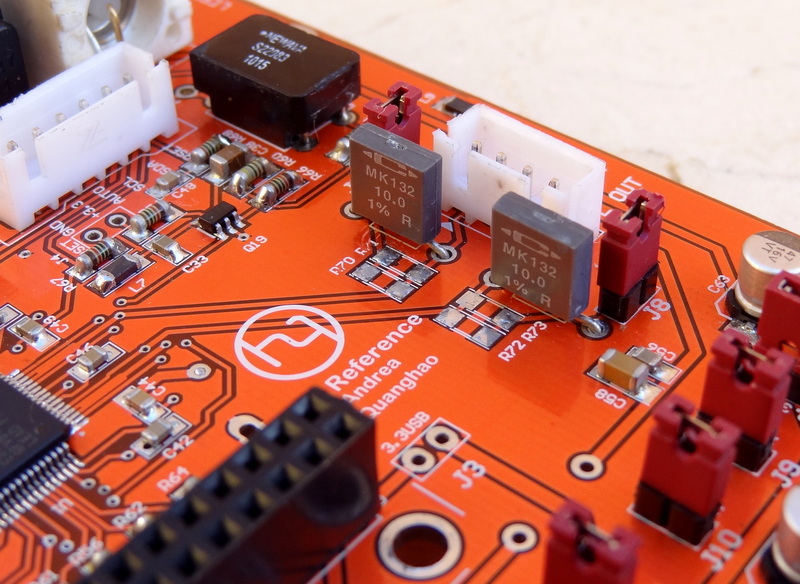 Using this speed, the max specified in the datasheet allows noise-free playback of 384KHz sample rate material. 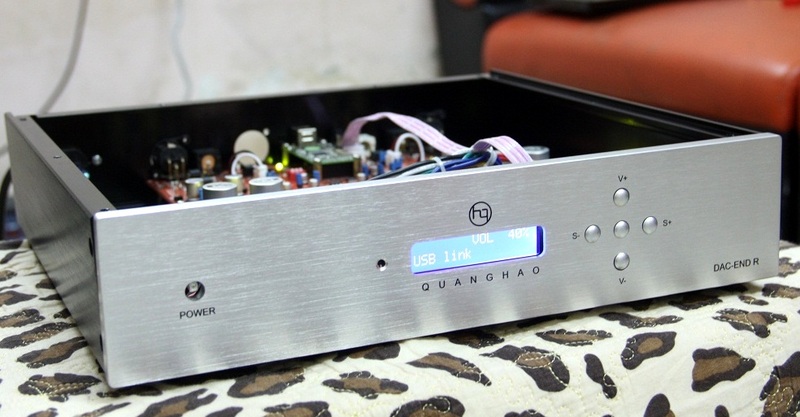 The DAC can operate in both current and voltage modes. 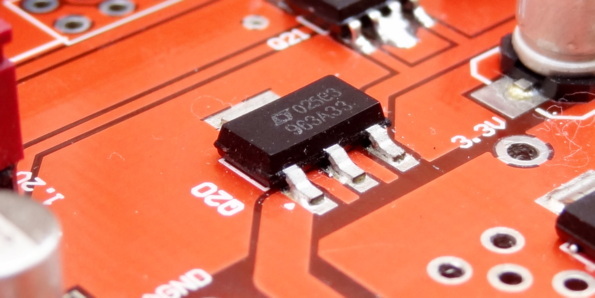 With either mode, you can also bypass these resistors by removing the jumpers (e.g., J8) and use the DAC in proper current mode (fixing its voltage) or in full voltage mode (allowing full voltage swing) for direct connection to an amplifier. 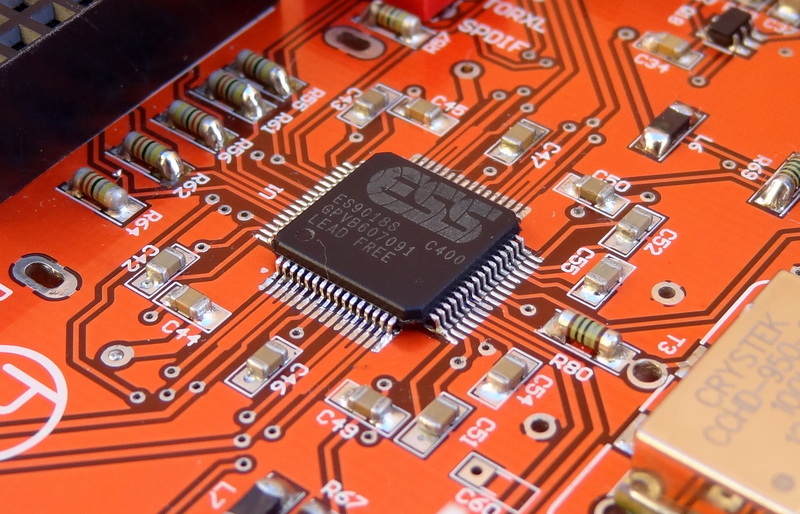 The core 1.2 digital supply is based on the LT1963 low noise LDO. All the regulators can be bypassed with the built-in jumpers (in case you wish to try other regulators). 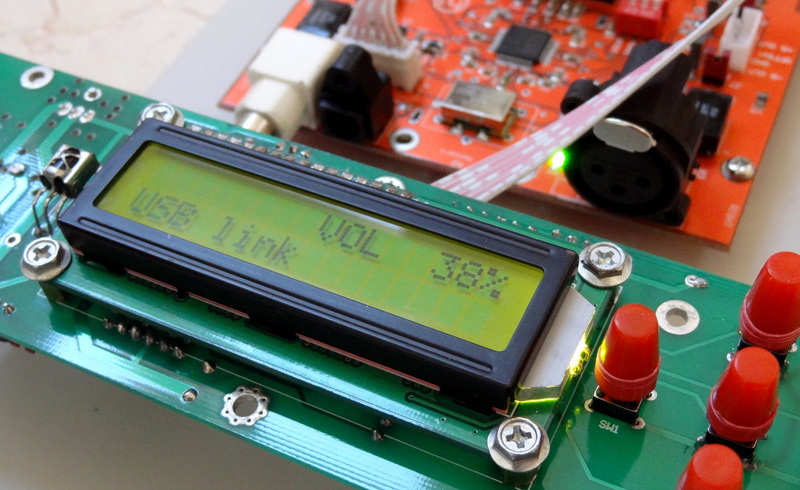 The LCD displays volume level, input selection, and the sample rate when there is lock on a signal. On the left of the LCD is the IR sensor. I have not purchased the remote (widely available in eBay) so I have not used the remote functions. I suppose it does the same as the buttons. 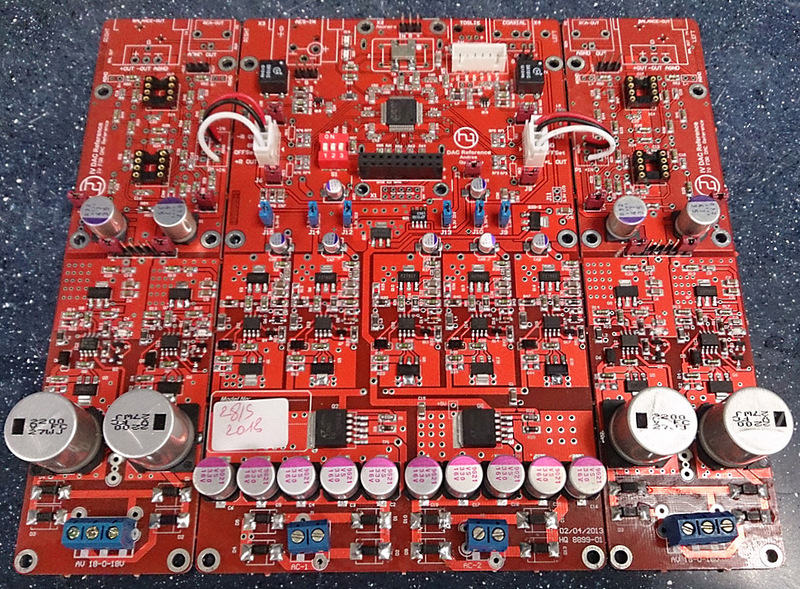 The board has its own power supply if you do not wish to power it with the 3.3V supply in the DAC board (there is a jumper to disable powering the control board). I am happy that Quang Hao/Andrea decided to follow my post about leveraging the automatic detection and internal mux capability of the Sabre DAC [link]. 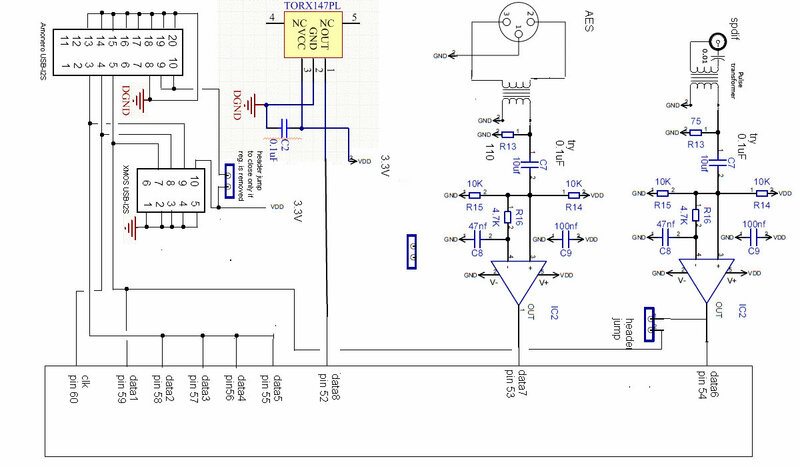 As such, the DAC can switch inputs by just programming the internal registers without the need of any external circuitry. This makes switching inputs “totally transparent” without having the signal go through relays, additional wiring or switches. 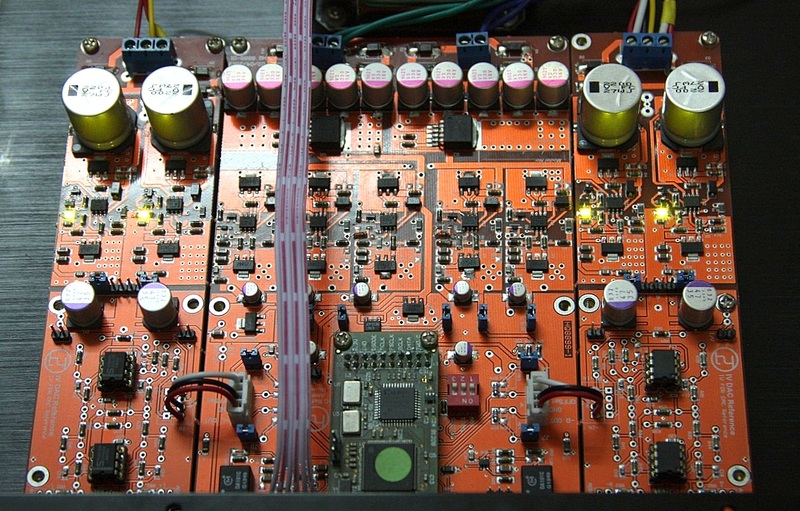 I tested this configuration with an optical SPDIF connection and with the Amanero I2S/DSD connection both connected to the DAC board. The SPDIF and the Amanero board had their signals live at all times (meaning that if I switch to either one, there was a lock to the signal). The source switching worked flawlessly. And no problems were observed. There was some concerns about this not fully working, but as implemented and tested, it works perfectly. This is a very nice implementation of “smart” input selection. 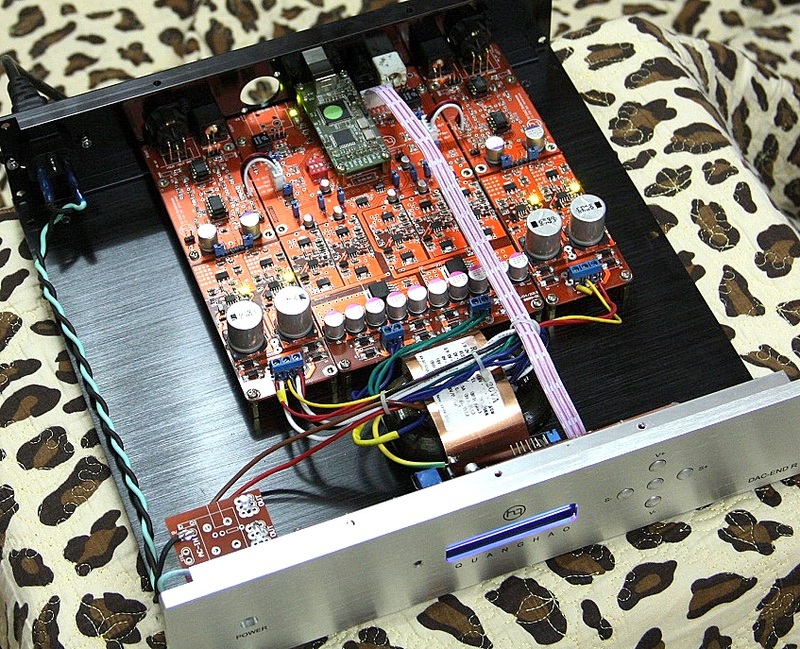 In this initial test, I am using the DAC-END R DAC in voltage-mode output, connecting directly to the amplifier and using the digital volume control in the DAC. For proper voltage-mode, I removed the jumpers for the on-board passive I/V (10 ohm) resistor to get the full voltage swing. 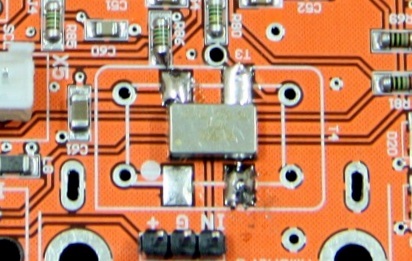 Leaving the 10 ohm resistors connected, the output level will be much reduced. 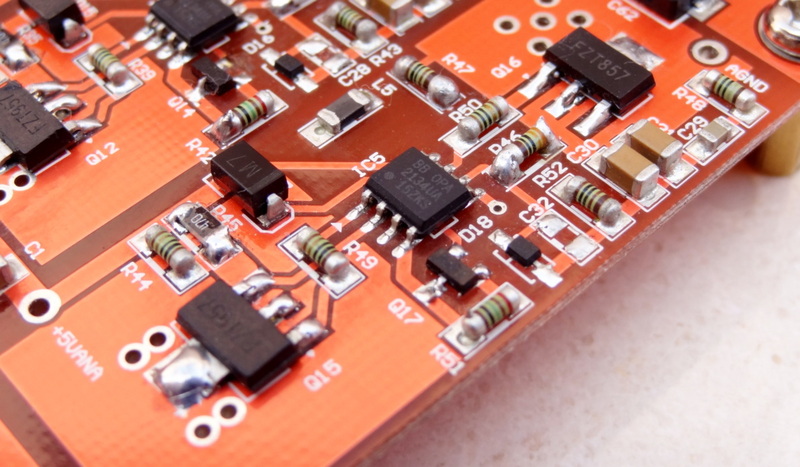 Note: I also got the output boards, but I need to get a proper transformer first… I will test them later. Admittedly, I am not one that can spend time focusing on minute differences or having the right words to explain the differences. I like to rather enjoy the listening session and pick up details as they come. 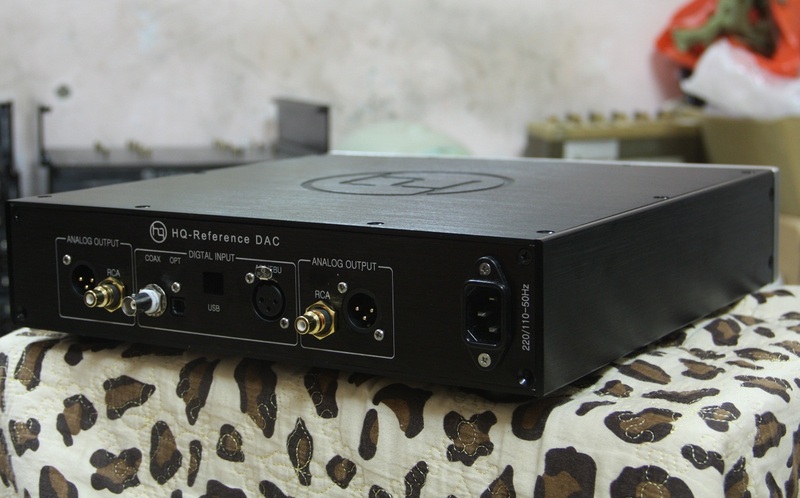 I can say is that this is also a very good sounding DAC and it is an excellent implementation of the ES9018 Sabre DAC both from the technical and sonic point of view. I tried the optical output from the Musiland 03US and also the I2S/DSD output from the Amanero USB board. 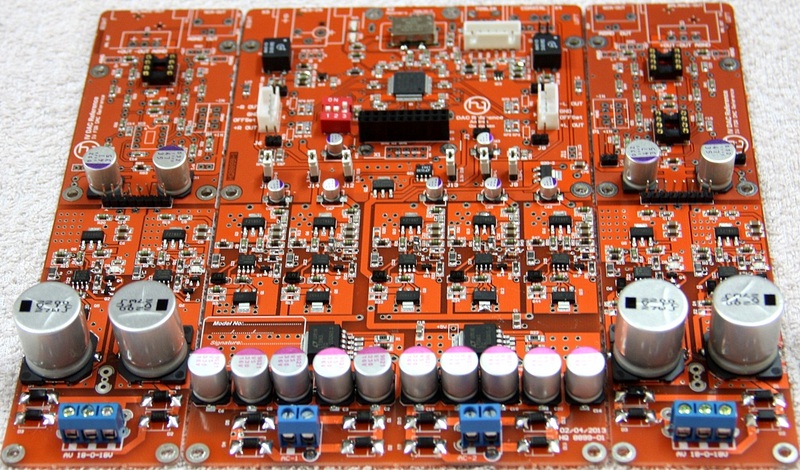 In the controller board, you just select “optical” or “USB” to select the desired input source. 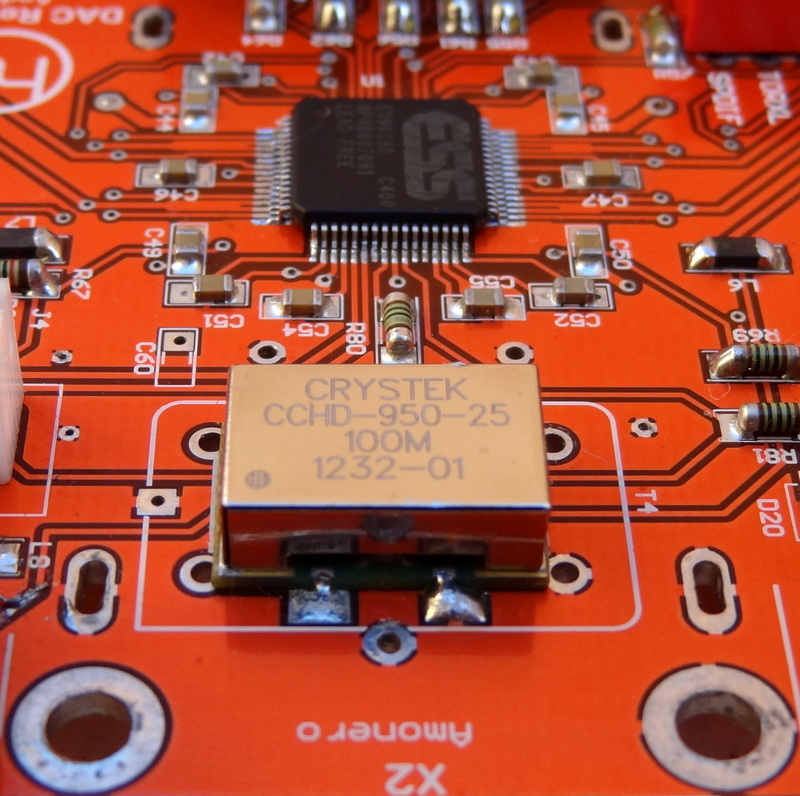 I was very happy to see the switching between SPDIF and SERIAL (I2S/DSD) working – Something I theorized but never tried. 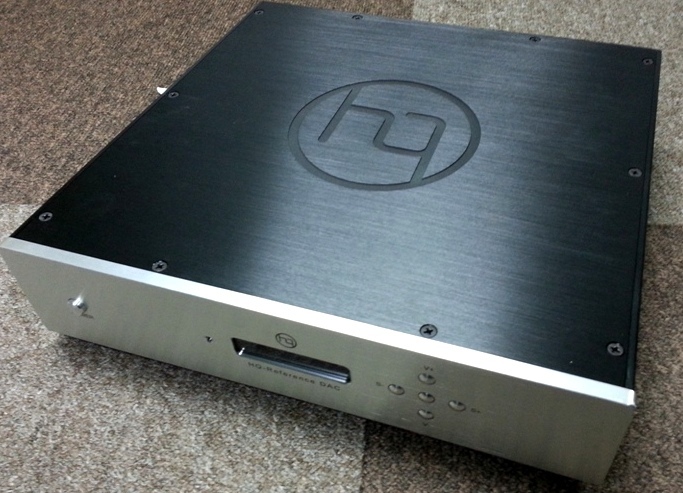 All in all, I felt the DAC-END R implementation excels in the top end. Sometimes I felt a more detailed presentation in the top end as compared to my memory of familiar tracks. No doubt the use of the faster clock and the use of shunt regulators throughout had something to do with it. 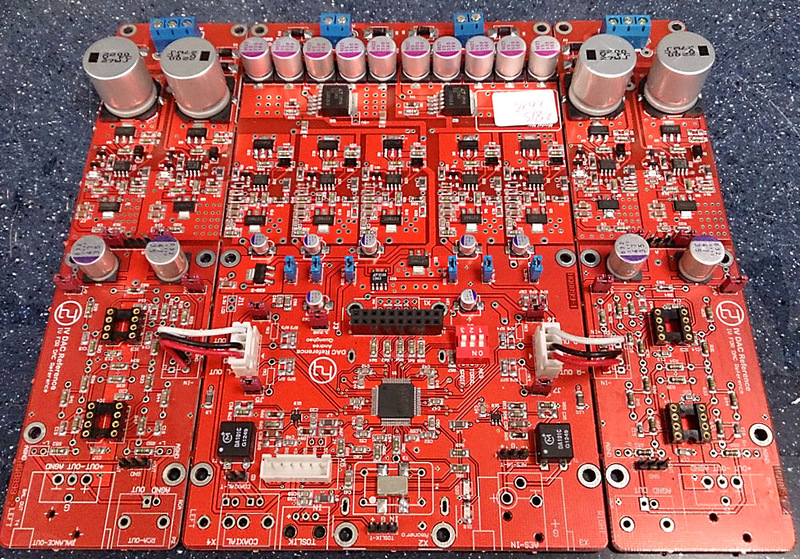 Here are some photos of the production boards for the diyaudio group-buy I received (the photos) from Mr QuangHao. 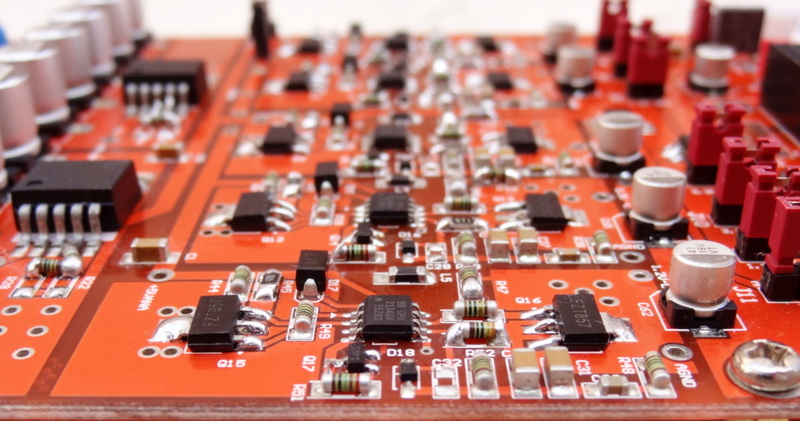 Other photos from users receiving their boards/dacs. 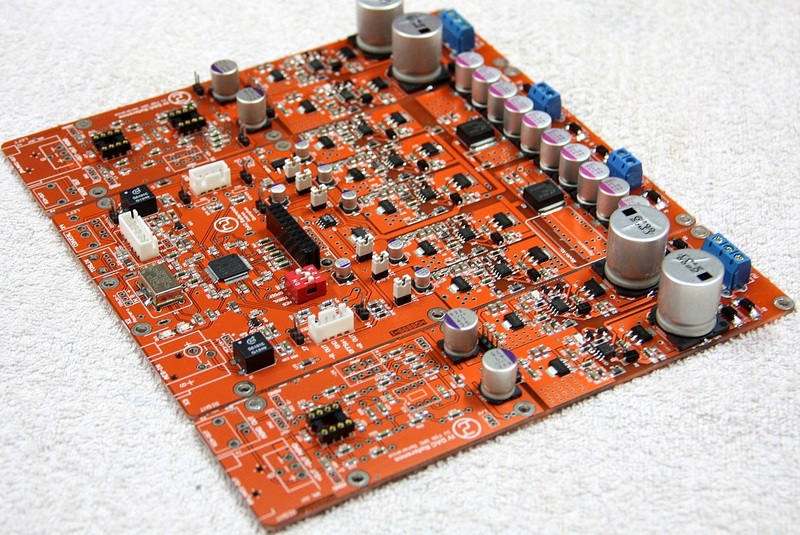 Here are some photos I pulled from diyaudio. Looking very nice! Very clean design. 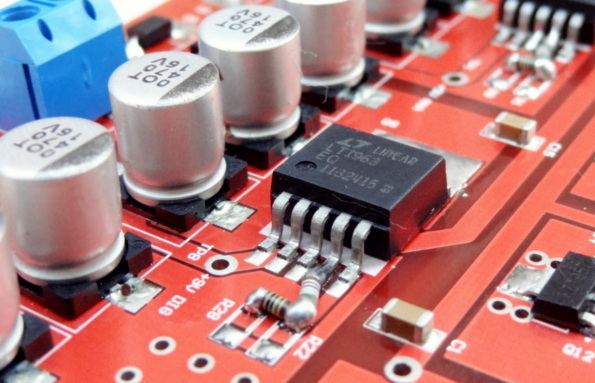 A single custom transformer provides the 4 required voltages.